Postcard DE-2968396 from Germany shows an image of a kid (or a monkey?) doing yoga and a link to the Children's Yoga Academy. 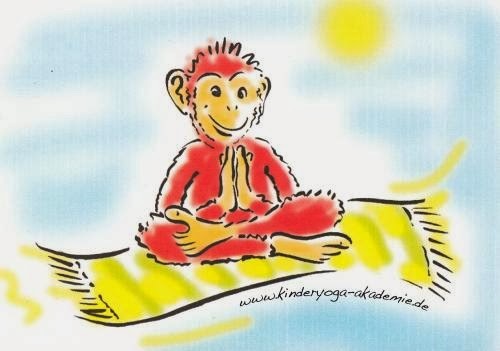 The website has a lot of information and offers for education and training of children's yoga in Germany, Austria and Switzerland in 2014. The first edition "Yoga for Kids" was a best-selling book on the subject. Now, with a brand new edition, it even comes with a DVD! Of course, you can purchase 26 children's yoga themed postcards including this one from the book's website.